Hollywood actor Sylvester Stallone’s eldest son from his first wife Sasha Czack was died because of an allegedly overdose of pills. But the authorities still trying to establish whether the death was intentional or accidental. Sylvester was described as "devastated" after knowing his son Sage found dead. Stallone publicist Michelle Bega said in a statement, "Sylvester Stallone is devastated and grief-stricken over the sudden loss of his son, Sage Stallone. His loss will be felt forever." Sage Moonblood Stallone, 36-years-old (May 5, 1976 – July 13, 2012) is an American actor, film director, film producer, and screenwriter. 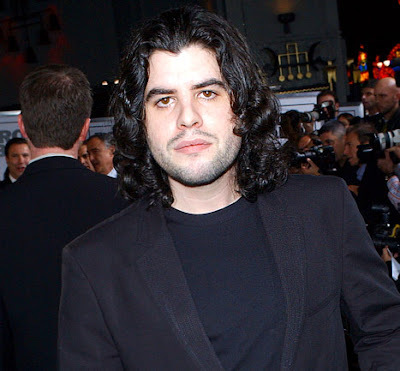 According to Sage Stallone's attorney George Braunstein, the young actor Sage was not known to be depressed. Atty. Braunstein said, "He was an extremely good actor, a good writer/director, really one of those people who was extremely respectful of Hollywood. He loved his mom and dad. He was a talented, talented person." Meanwhile, Spokesman for LA Police Department (LAPD) told AFP: "We are in the initial stages of our investigation" but gave no further details." LA Police Department (LAPD) added, "There's a death investigation, they're waiting for the coroner to identify the body." Comments or suggestions about "Sylvester Stallone Eldest Son 'Sage' died at age 36" is important to us, you may share it by using the comment box below.